The Everglades are one of the most amazing, unique and important ecosystems on the entire planet. 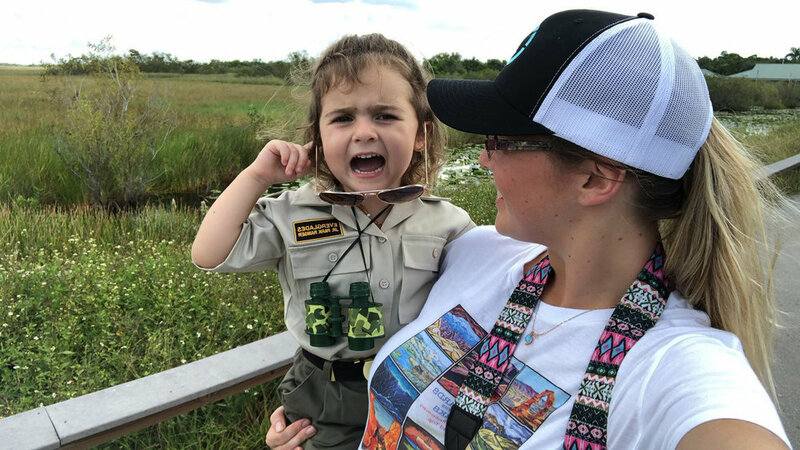 Though they are most commonly known for alligators, snakes, humidity and mosquitoes the size of your hand, there is so much more to this essential wetland, forest, and imperative wildlife habitat… My formidable niece Junior Ranger Celia Jane and her crew were quick to head straight to the visitor’s center, get suited up with the appropriate “ranger wear” and gather information about the area from the amazing educational displays and Park Rangers! Now geared up and ready to explore, Celia led the charge as they walked, explored, looked closely and learned all about the 3rd largest National Park in the lower 48! Here are some of the quick highlights about the Everglades that our PFP team learned in their explorations yesterday. Everglades National Park is home to one of the largest wetlands in the world - the park is best known for its mangroves, sawgrass prairies, and freshwater slough that draws water from Lake Okeechobee southward. The work to preserve the Everglades started nearly 20 years before the park was established thanks to Ernest Coe. In the 1800s, dredging and draining of the Everglades began, but it wasn’t until the early 20th century that the harmful side effects were apparent. In 1928, landscape architect Ernest Coe began campaigning to create a National Park and nearly 20 years later in 1947, it was established. The Everglades is overflowing with plant and animal species not found anywhere else on the planet. The Everglades provides important habitat for numerous species like the manatee, American crocodile and the elusive Florida panther, and over 360 types of birds. The Everglades have preserved evidence of human settlement in Florida’s southern tip dating back thousands of years. Everglades National Park contains the largest contiguous stand of protected mangroves in the western hemisphere. Mangrove clusters with impenetrable root systems and the ability to flourish in salty environments are both mysterious and beautiful, mangroves help clean water while also providing shelter to marine organisms. An intergovernmental partnership is working to restore the Greater Everglades ecosystem, which extends beyond the park’s border. 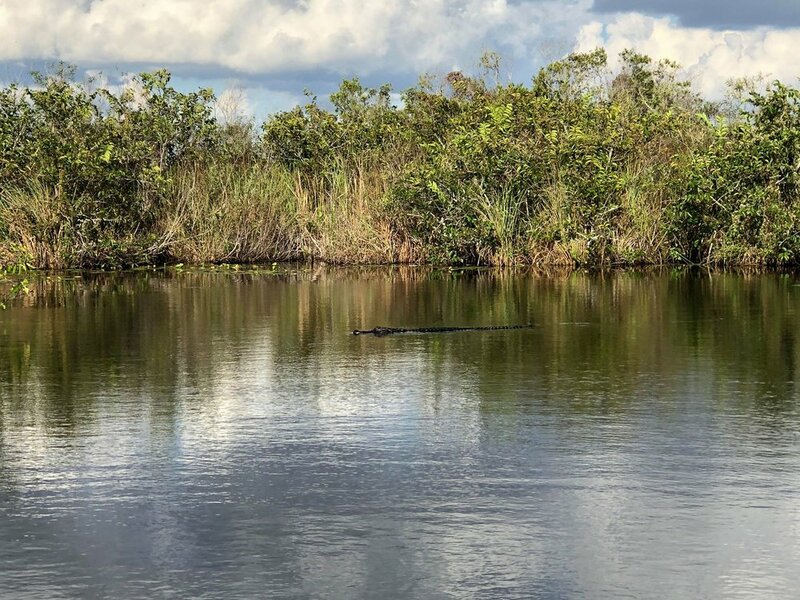 Widely known as the Comprehensive Everglades Restoration Program, this vast environmental undertaking is critical to the area’s freshwater supply, biodiversity, and flood control. In simple terms, everything about the Everglades revolves around water, and water is the center of the Everglades greatest threat. From development, clearing for agriculture, diversion of water for farming, pollution, chemical run off and dumping, and flood/hurricane damage, the essential and delicate ecosystem of the Everglades and the wildlife that depend on it are endanger. The EVERGLADES ARE IMPORTANT. The Everglades, a subtropical mosaic of surprising diversity and a wetland of international importance, is a refuge for 13 threatened or endangered animal species. Here, human history spans over 2000 years. Because of this, Everglades National Park became a World Heritage Site on October 26, 1979. World Heritage Sites are designated by UNESCO under the Convention Concerning the Protection of the World Cultural and Natural Heritage with 187 countries voting to ratify this designation. 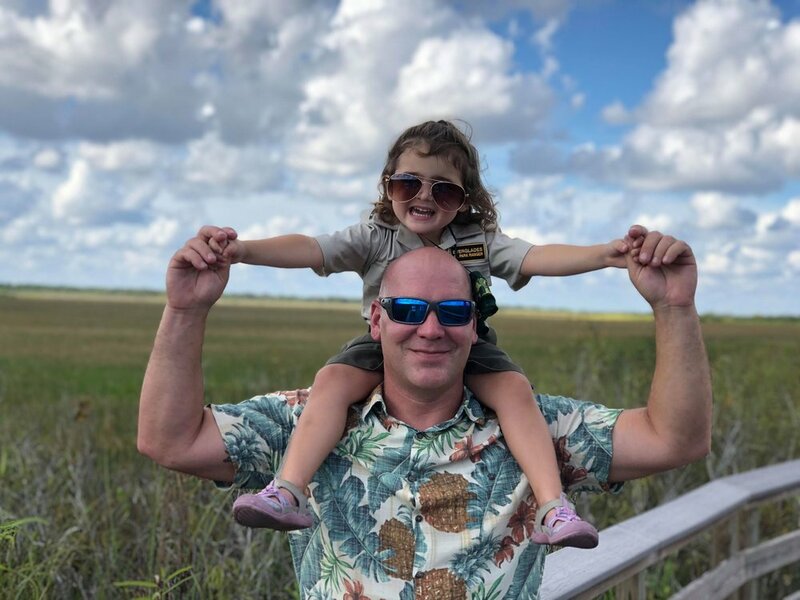 Despite its reputation for humidity, bugs, and receiving over 60 inches of rain a year, you also can have a day in the park with comfortable temperatures, beautiful blue skies with puffy clouds that extend for miles and miles and the luck for wildlife viewing that only an almost 3 year old can muster! 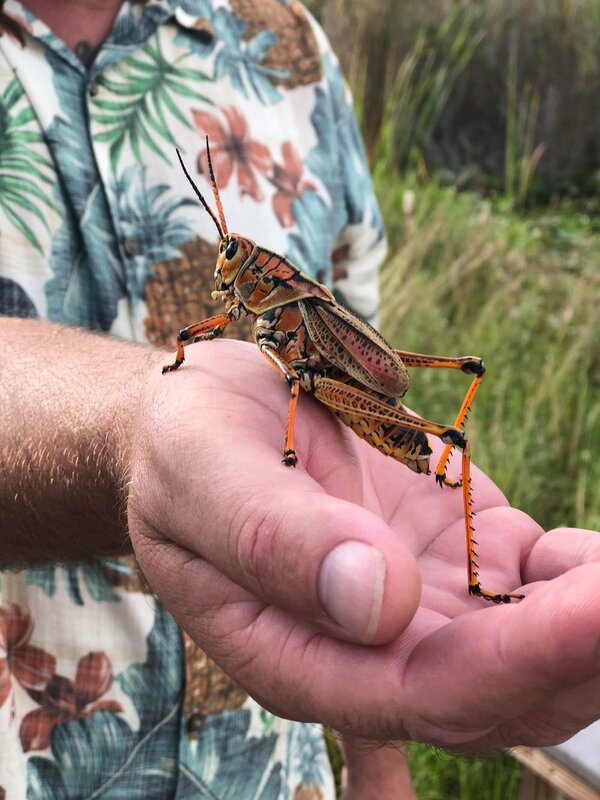 From Alligators, giant grasshoppers, snakes, and a plethora of wetland birds, Celia, Ivy, Stephanie, and Justin looked closely, investigated, documented and soaked in the beautiful views and fascinating residents of the park. 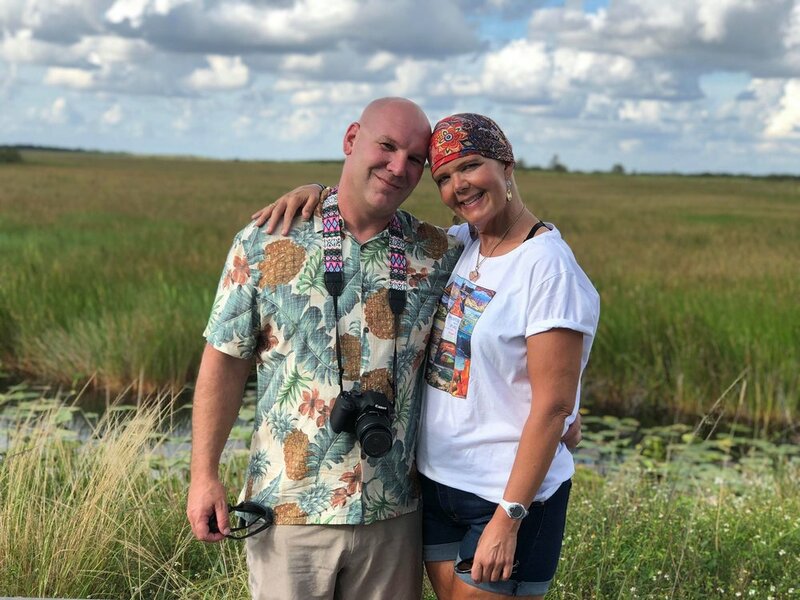 Here are some of the highlights of their stroll through the park and a little look at the Everglades through Celia’s fresh eyes! The adventure has just begun…stay tuned for what they will find tomorrow along with art work to come inspired by the Everglades! Newer PostKey Largo & Windley Key Fossil Reef!